St. Finian was the founder of the Barragh Church where he laboured for seven years. All that remains of the 78’ x 21’ church is one gable and part of the walls. In 1650 Cromwellian soldiers attacked the church. The water of Carnavane Well close by is said to cure soreness of eyes, pains and debility of the limbs and all body ailments. 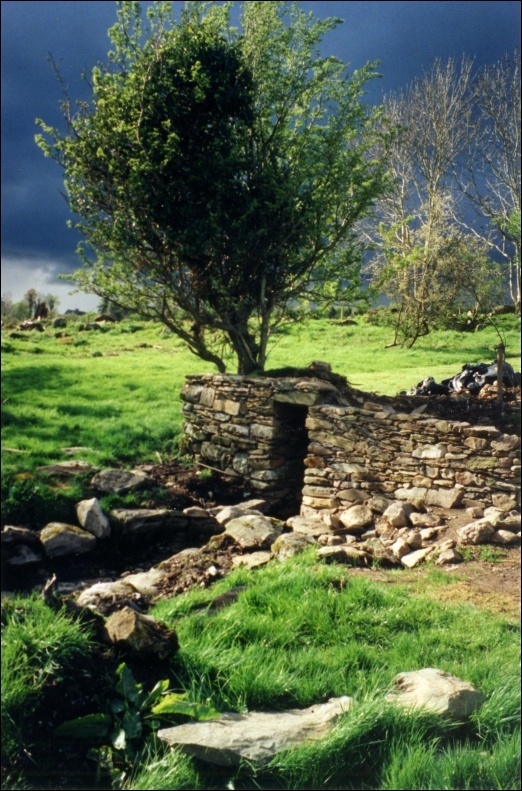 Pilgrimage to the well was quite popular in ancient times; up to the early 1900's; locals came to pray there and delicate children were bathed in a granite stone trough outside the entrance to the well. It was enclosed with two stone walls to the east and west and was roofed over. There is a bigger well a few yards away from the first and there may even have been a third well at the site.